Thanks Alistair, one would assume that the new system would benefit those choosing to “bake in” a look, where rating the camera at a lower Ei will in effect be WYSIWYG, and less risk of the double compensation scenario. But you have always been able to bake in a LUT and when you bake in the EI gain is included in the bake. This new mode doesn’t change anything in that regard. You have also always been able to bake in S-Log as a lut with the EI gain applied to the LUT, so it has always been possible to record Log at different gain levels in Cine EI, but I don’t think anyone did this. Thanks Alister, great analysis and very logic. A pity Sony added this feature, as you explained, complete useless. They have no other imagination for firmware upgrades for the FS7 ? Or is the FS7 so perfect it does not need any upgrades. So with CINE-EI Applied On, you can now actually adjust the gain, is that correct? 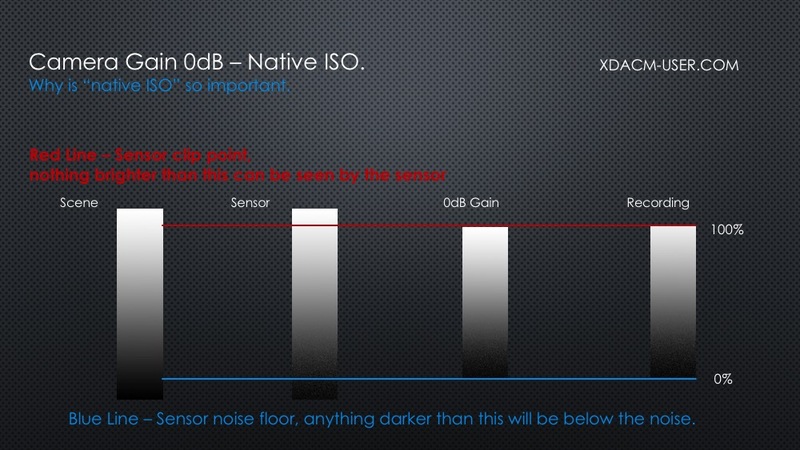 I mean this feature decreases the electronic amplification to the sensor beneath what Sony has already determined is optimal? Am I reading this right? And yes, thank you for such a detailed analysis of this feature. You are changing the gain of the recorded image, this takes place after the sensor with this new mode. I think it’s awesome feature and I’ve been hoping they will release that! 90% of the time it’s all good to record with 2000El and I always do that when shooting S-Log, but there are moments when you’re shooting in dark situations and 2000El just not enough to expose image in S-Log (it’s looks too noisy when you raise exposure in post). Having ability to bump ISO (Gain, EL) in those situations is priceless. Of course you can go to the settings and change to custom profile where you can change gain, but quite often you don’t have that luxury of spending time changing back and forth settings of the camera (it takes a while to do that on FS7). Plus it confuses editors when they’re using LUTs for color correction and there are some shots that are not in S-Log. I personally don’t care about exposure index for camera monitor, because I always use external EVF and Monitors with proper LUTs. Gain is gain. Whether you add it in post or add it in camera the difference isn’t huge. 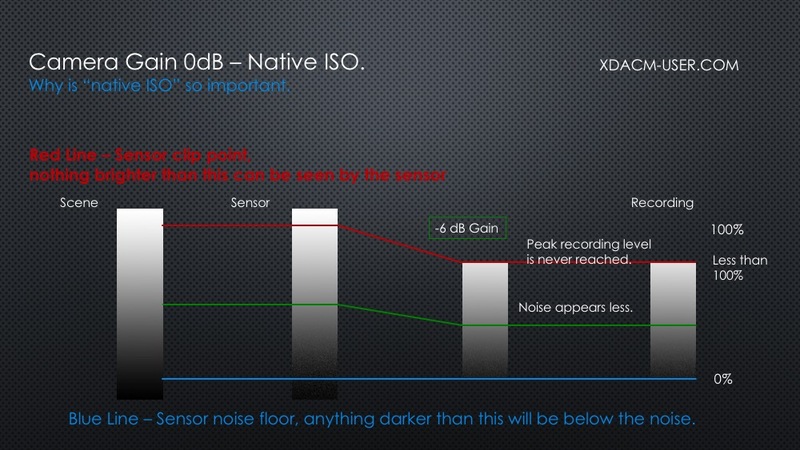 Neither method increases the cameras sensitivity, it just makes the picture brighter – and noisier. I’m wondering if an object is dark in a scene and it falls in lower 20% of S-Log and there is almost no information/texture recorded in those lower 20% of S-Log. 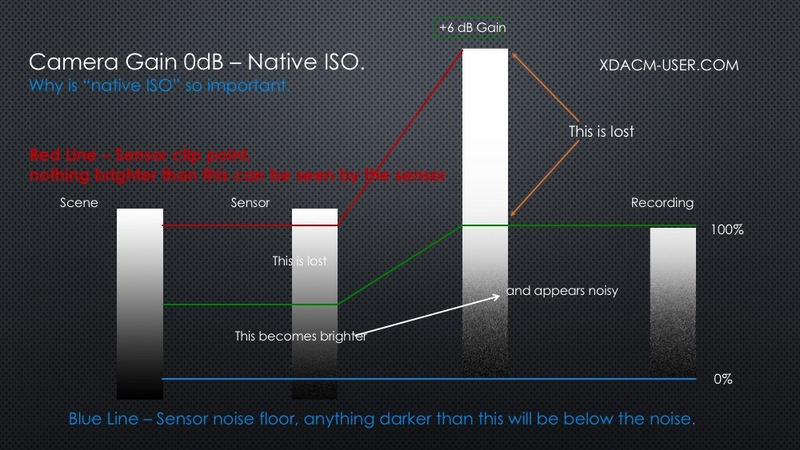 If I add gain in camera and camera will record the same object but twice brighter, for example, all information will be between 20%-40% on that S-log scale, would it be it better for the image? Shouldn’t be there more information recorded? If you darken the image in post, you’ll just have more information to work with. I always do that trick with Sony FS5 and it works. The same dark scene recorded with 6400 ISO looks better than with base 2000 ISO. Will Sony release a firmware for FS7/5 cameras to give them the Venice color science? Only Sony know the answer to that. Somehow I doubt it. FS5 II already has a very similar colour science in it’s base setting. Much of the Venice look comes from the special s709 LUT that Sony created for the camera (remember it only shoots log or raw). So you still have the option to shoot log or raw with the FS5/FS7 and then add my Venice LUT’s. Is there any other benefit to upgrade the camera? For example, faster thumbnail index image loading, faster overall menu responsivity, or minimising sensor grid when strong light hit the lens? I have issues with this update. Recording in S&Q mode now causes an error and deletes data. Sad. Not confident in shooting jobs with this camera now. Yes, there seems to be some issues with this firmware release. As I see from researching your articles on the FS7 you recommend switching from Slog3 to a picture profile in low light. At what point do you recommend to switch? How much do you push the 800EI until you change profiles? So far my practice has been to switch the profiles at the point i can not correctly expose 3200EI. If you can’t expose the log correctly that’s when I will often (not always) switch to standard gammas as at least with standard gamma you know exactly what you are getting. Plus you are probably also talking about a restricted dynamic range in which case log is often not the best choice. How do you come to that conclusion? The Arri cameras also use EI and shift the EI, not the ISO (so a low EI means a brighter log recording that is then pulled back down by the LUT in post. There is no change to the DR when you shift the EI on an Arri, unlike changing ISO on the Sony.